Telepathy, as coined by the French psychical researcher Fredric W. H. Myers, is the innate psychic phenomena by which communication occurs between minds of humans, without the use of the usual sensory channels of communication such as speech or body language. It is the direct transference of thoughts, ideas, feelings, sensations, and mental images from one individual (the sender) to another (the receiver). Telepathy is considered a form of extra-sensory perception (ESP) and is often connected to other various paranormal phenomena such as precognition, clairvoyance, and empathy, but it is often difficult to determine whether information is communicated through telepathy or clairvoyance as they are the same psychic function manifested in different ways. Telepathy is about energetic frequency and the ability to recognize and align with another person’s frequency. Although this is an innate ability all human beings possess it is not usually developed in everyone because as humans were created for life in the physical realm or the third dimension where we attain information through physical senses such as: touch, taste, smell, sight, and sound then is translated by the mind. Though the human mind is a physical organ it is more than that, it is an evolved physical matrix for a psychic entity of electrical and quantum impulses. This entity has the innate ability to receive and influence the temporary changes in the energy from other minds, therefore it is understood that telepathy is a natural function of the mind as it is energetically or psychically connected to all other minds which transcends our perceived concepts of time and space. My parents left for their weeklong vacation on a Friday morning while I was sitting at the desk in the library listening to Mr. Stokes give me a lecture on the historical events that took place in Massachusetts in 1692. They created such a commotion in the foyer with their Louis Vuitton luggage that Mr. Stokes was forced to stop talking. He and I watched them through the opened library door. My Dad casually waved at us as he slung the strap of the duffle bag over his shoulder and with his other hand grabbed the handle of the biggest upright, rolling it behind him as he walked towards the front door. Mother blew me a kiss as she clutched her cosmetic satchel and the smaller upright. I returned their farewells, noting to myself their annoyance and aggravation only slightly hidden beneath the phony smiles they presented to us. A trip to the Bahamas was going to “fix” this? I shook my head in complete disbelief. My parents were clearly in serious denial about the state of their relationship. With the sound of the front door closing, I redirected my attention back to my tutor who had removed his glasses and was carefully slipping them into the front pocket of his light blue button up shirt. The middle finger of his left hand had instinctively found the scar on his forehead and began massaging it. I was curious about his scar the moment I first saw it, but refrained from questioning him, but now, as I sat there gazing at him, waiting for him to continue with his lecture I pondered the circumstances surrounding it’s appearance on his face. How long ago had he acquired the injury? Did it still caused him pain? “Perhaps someday I will share that story with you,” he smirked, as he sat on the edge of the desk. His hand now joined his other as they clasped and rested on his right thigh. How did he know I was contemplating his scar? Was I so blatantly staring at it or did he attain the knowledge of my inquiry by some other means? These silent questions must have been readable in my expression because he chuckled with a slight nod. “As entertaining as that story is, I must redirect your inquest back to the historical events of 1692. I find that it is pertinent to share some information with you that not only pertains to the events I’ve been discussing, but to your own family as well, specifically your father’s ancestors,” he explained in a tone that I had not heard prior from him. It was solemn with a hint of … was that fear? My ancestors? This was wonderful! This was the type of information I was craving ever since I had purchased the books from that pagan shop in Bridgeboro, but how much information would he be able to share with me since he was not of my family bloodline? Was this going to be accurate material or pure speculation and conjecture? How had he attained this information? Did he read it in books? If so, what ones? Were there even any books about my family? How had he gathered this information? I nodded. His words were becoming more intriguing as he spoke. To be honest with you though, I couldn’t have imagined anything that he might have told me that would have been difficult for me to believe. I had personally experienced the unbelievable for most of my childhood and because of those peculiar events that no one else dared believed to be true, I was ultimately diagnosed with paranoid schizophrenia and earned myself prescriptions for Cymbalta and Klonopin. I was excited with the consideration that he had stories of events that were more fantastical than what I had experienced firsthand. “Really?” I was impressed. “Dad always tells me that our family bloodline carries clout,” I said, recalling my father’s claim, one which I dismissed because it really had no bearing on my teenaged life. Huh. I assumed that my father was just boasting, trying to impress the important people of the community and state that he and Mother invited to the parties that they hosted around the holidays. I never considered that his words could be truth, but I was beginning to think that this information would be useful to me or at least would illuminate some things about who my ancestors were and what they and Syn may want from me. I was in awe. I had never once considered that it was the infamous Abigail Williams that was my direct ancestor from Salem. 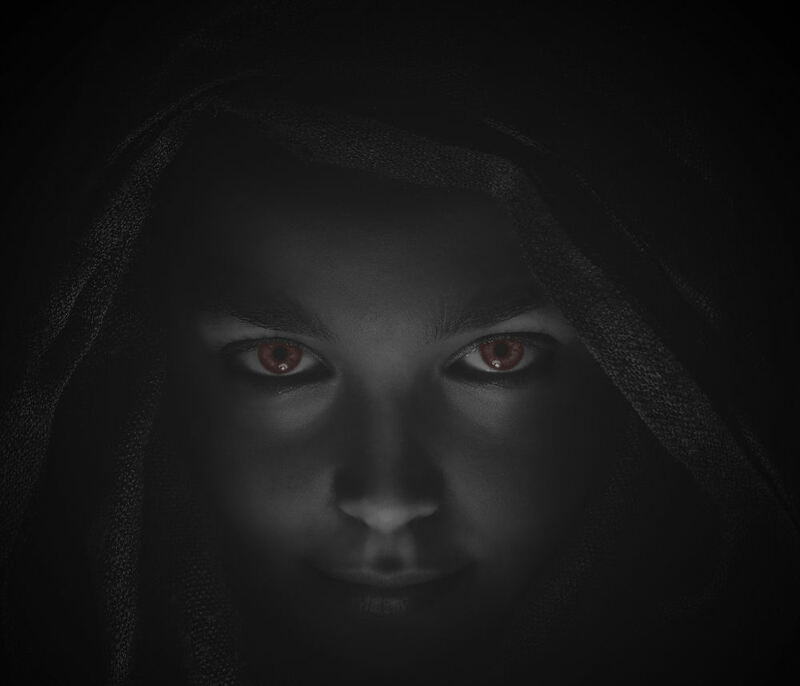 I had assumed that the women of my bloodline that spoke to me from the darkness and verified the claims that I, along with the other females of my family, who had acknowledged and accepted their birthright as human agents of Syn were humble, unassuming pagan folk who had been the falsely accused by the Puritans. Oh, I had visited Salem once when I was younger. Our elementary school class had gone on a field trip and I recalled thinking that it was amusing that Abigail had the same surname as I did, but then Williams is not an uncommon name in New England; I had met other students with the same last name who were not of my family. This connection with Abigail, such a pivotal individual in the historical events of Salem, Massachusetts, well, this was a significant revelation. I sat in silence for a moment, overwhelmed with the amount of information Mr. Stokes had shared with me and what implications it had. I felt kindred with Abigail Williams that I hadn’t before and hadn’t felt with anyone else including my family in my life until that very moment. I wanted to know more about her. I needed to know more, but would Mr. Stokes be able to provide me with anything more? “I do not,” he deliberately stood from his perch on the desk and walked to the bay windows gazing out at Mother’s garden. Instead of feeling elation with the prospect of reading the diaries for myself, I was earnestly annoyed with my tutor. Was he intentionally baiting me? What was his deal? Was he getting off on taunting me like this with the diaries? Any other day I would have enjoyed this verbal parlay, but not today. The information he had just shared with me was momentous and the accounts in those diaries were far too significant to banter about. I stared intently at his back, feeling my annoyance shift into anger. I felt my blood pumping within my heart and flowing through the veins and arteries in my body, becoming imbued with the melody of my frustration and anger. Once he turned around my gaze would fix upon his, allowing the malicious fascination which had reached a crescendo seep into his soul.